Genesis: A Theological Commentary for Preachers engages hermeneutics for preaching, employing theological exegesis that enables the preacher to utilize all the narrative units of the book to craft effective sermons. This commentary unpacks the crucial link between Scripture and application: the theology of each preaching text, i.e., what the author is doing with what he is saying. Genesis is thus divided into thirty-five narrative units and the theological focus of each is delineated. The overall theological trajectory/theme of the book—divine blessing: creating for blessing (Gen 1–11), moving towards blessing (Gen 12–24), experiencing the blessing (Gen 25–36), and being a blessing (Gen 37–50)—is thus progressively developed. The specificity of the theological thrusts for their respective texts makes possible a sequential homiletical movement through each pericope of the book, enabling the expositor to discover valid application for sermons. 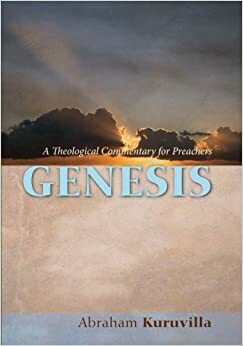 While the primary goal of the commentary is to take the preacher from text to theology, it also provides two sermon outlines for each of the thirty-five units of Genesis. The unique approach of this work results in a theology-for-preaching commentary that promises to be useful for anyone teaching through Genesis with an emphasis on application. This is a thoughtful and valuable commentary, from one who is both adept at exegesis, and in love with preaching. God willing, Abe hopes to provide us through the years with additional theological commentaries of a similar nature. May God give him good health and long life!